StarUML v2.0.0-beta12 is now available for download. This release includes the following features and fixed issues. 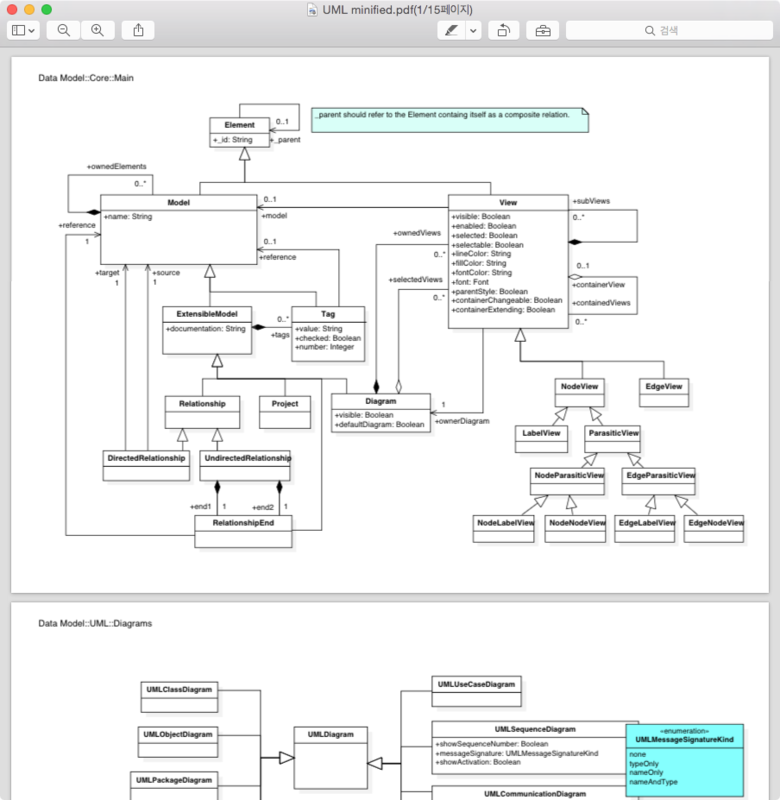 Now you can print diagrams to PDF format. It allows to select page layout (portrait, landscape), page size (A4, Letter, B5, …) and print range (a specific diagram or all diagrams). After obtaining a PDF file, you can print using a popular PDF Reader (e.g. Adobe Acrobat Reader). 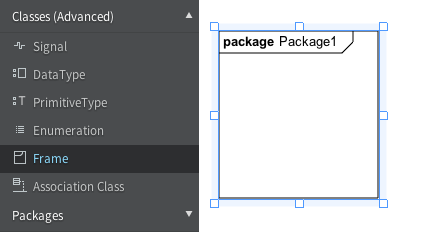 You can show or hide shadows of view elements such as Classes, Interface, etc. 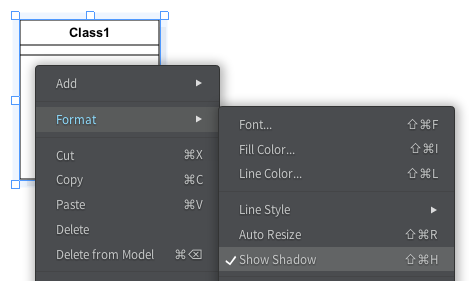 by selecting Format > Show Shadow (Ctrl+Shift+H). UML 2 support Frame notation for some of elements such as Class, Package, Interaction and etc. You can find Frame element in Toolbox. To create Frame view, select Frame in Toolbox and drag on Diagram Area, and then select an element to be shown in Frame notation in Element Picker Dialog.